Okay lets talk about why I'm posting today, Companions. Companions are a part of yer pirate crew and have become more active than ever. 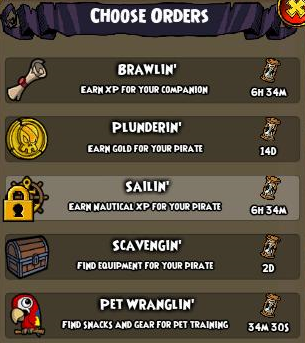 You can now send your companions out to find gold, loot,xp, pet gear plus snacks and if your sailing xp for your Pirate. When choosing a tasks it gives you time lots of how long till your Companion returns. This can be anywhere from a few minutes to many days, although I think 17 days is a bit much. The way to prevent the 17 days is to split up your companions. Send a few to each type of task this will allow them to return in a reasonable amount of time. I sent all my companions to plunderin and scavengin. I did this to see what all they brought back to me , below is an image of just a few items and gold amounts. Which I sold all the gear for around 5000, not a bad amount for not even being in game. ;) My Nephew trained his companion with pet wrangling and got back a couple pets one being the coconut crawlie. So this makes me wonder If I trained my Companion as a plunderer or a scavenger ,what type of amazing items could they bring back to me? 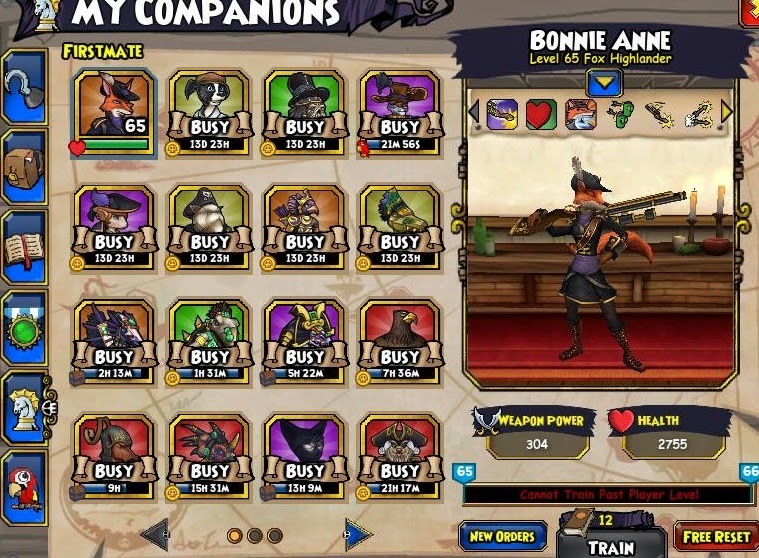 Among plundering and scavenging there are a few talents you can train your companion for I posted a few in the images below. See ye in the skyways.